The Director of the National Museum of Natural History, Prof. Nikolai Spassov took part in the workshop at the Research Station of Quaternary Palaeontology, Weimar. 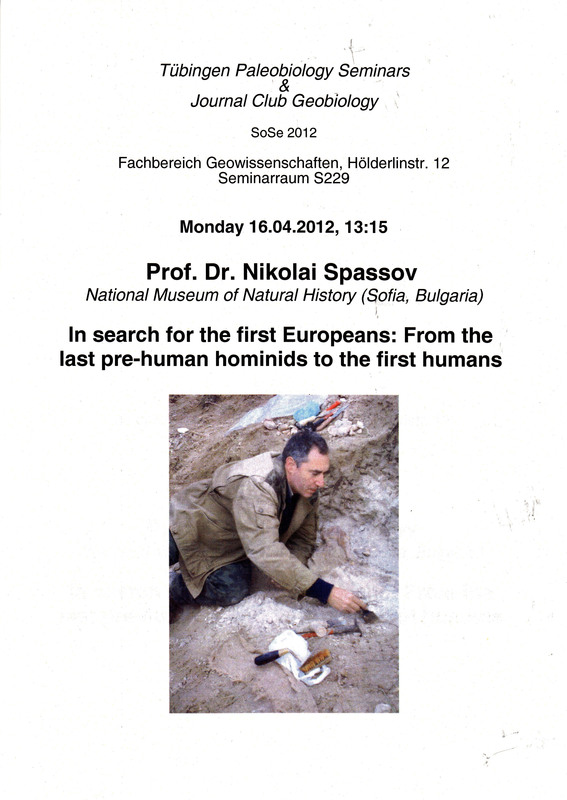 In his visit to the Federal Republic of Germany N. Spassov was invited to give a speech in the University of Tuebingen Paleobiology Seminars. The topic was 'In search for the first Europeans: From the last pre-human hominids to the first humans'.